What was discussed by the Lowndes County Commission regarding the recent changes to the alcohol ordinance came up again in their 28 February 2012 meeting. Relevant to that are these videos of discussion in their 23 May 2011 Work Session. Valdosta, Lowndes County, Georgia, 23 May 2011. This entry was posted in Alcohol, Government, LCC 2011-05-23, Lowndes County Commission, Transparency and tagged 23 May 2011, Georgia, Gretchen Quarterman, LAKE, LCC, Lowndes Area Knowledge Exchange, Lowndes County, Lowndes County Commission, Valdosta, Work Session on March 25, 2012 by admin. I am so sorry you had to see these offenses, it should have been investigated/viewed by the Sheriffs Dept. or GBI, these are crimes not violations like the GDA says! I will not give up on this; crimes should be punished as such. I have written many citiznes of lowndes county citations and they have been charged with these crimes by a court of law. No one is above the law including Linda Patelski, but the GDA recognizes these crimes as violations, not crimes or they would have been handled as such. No person should be covered under the umbrella of GDA. After statements have been lost by them (GDA) and then resubmitted it just seems like these crimes are no more important then losing a receipt for gas. I find that Joe Prichard involving my character in this matter irrelevant and my convictions in court cases involving animal cruelty inhumane treatment and other ordinance violations and state laws speak of my character, over 400 cases brought before magistrate court, municipal court and state court out weigh his personal opinion(s) and one case lose in five years of employment as animal control officer for Lowndes County and I was told to write that citation by my director Linda Patelski for nuisance dog. I have not discredited any employee who works for Lowndes County in these matters… I have told the truth and have documentation to back what I say. This entry was posted in Activism, Animals, Code Enforcement, Community, Ethics, LCC 2011-05-23, Lowndes County Commission and tagged animal shelter, Animals, Ashley Paulk, drugs, euthanasia, Georgia, humane, illegal, inhuman, Joe Pritchard, LCC, Linda Patelski, Lowndes County on July 26, 2011 by admin. There are problems at the animal shelter. They have not been resolved. I think it’s time to ask: what did they know, and when did they know it? That was even though WCTV already reported there had been several euthanasia violations last year. Pritchard also said they (the county in its previous investigation, presumably the one of 2010) examined the character of those testifying for the complaints and he said they found biases. 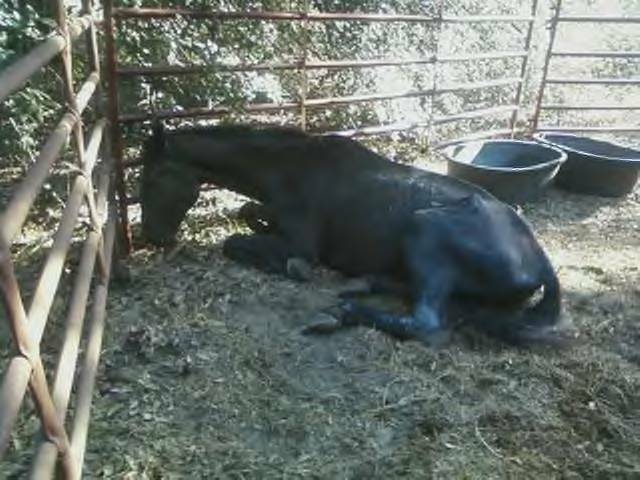 This entry was posted in Activism, Animals, Code Enforcement, Community, Ethics, Government, Law, LCC 2011-05-23, LCC 2011-05-24, LCC 2011-06-28, Lowndes County Commission, VDT, WCTV and tagged abuse, animal shelter, Animals, Ashley Paulk, Code Enforcement, drugs, euthanasia, Georgia, inhumane, investigation, Joe Pritchard, Law, LCC, Lowndes County, Lowndes County Animal Shelter, Lowndes County Commission, Susan Leavens on July 20, 2011 by admin. Falsified logs at the animal shelter? Previously I’ve posted briefly about the notarized statement by Susan Leavens of 5 May 2010. Here is more detail, with pictures. The statement alleges animals smothered, strangled, stabbed in the eye, cut, torn, beaten, slapped, thrown. Improper drug use “who signed this thing?”. Racial profiling and discrimination. Unresponsive county officials and threats from them. Oh, yes, and falsified logs of euthanasia. In the statement she names multiple people she says were witnesses to the falsification of euthanization log entries, and even to the complete rewrite of a log and shredding of the previous copy. This entry was posted in Activism, Animals, Code Enforcement, Community, Ethics, Government, LCC 2011-05-23, Lowndes County Commission, Transparency and tagged animal shelter, Animals, Ashley Paulk, drugs, euthanasia, Georgia, humane, illegal, inhuman, Joe Pritchard, LCC, Linda Patelski, Lowndes County, Lowndes County Commission on July 12, 2011 by admin. Abuse of an animal is a criminal offense. The GA Dept. of Agriculture is a regulatory agency able only to issue fines, not pursue criminal investigations. Why are these reports not on the desk of the sheriff of Lowndes County for criminal investigation? Dismissing the allegations because the people whose testimony was taken might be biased does no service to the current or future animals that will pass through the shelter. This entry was posted in Activism, Animals, Code Enforcement, Community, LCC 2011-05-23, LCC 2011-05-24, Lowndes County Commission and tagged animal shelter, Animals, criminal, cruelty, Georgia, inhumane, investigation, Jane Osborn, Joe Pritchard, law enforcement, Lowndes County, Sheriff on May 24, 2011 by admin. Issues that I think you’ve heard about… animal shelter. “I’ve seen a lot of the animals come in the shelter and not got vet care and sometimes that comes in the form of euthanasia,” says Susan Leavens, an animal control officer for Lowndes County. This led several Lowndes County Animal Shelter employees to file a complaint with the Georgia Department of Agriculture. It launched an investigation citing the facility for not providing humane care. August of 2010 the Department of Agriculture called me and asked for a meeting about issues of concern. They expressed those issues centered around maintenance of records … what was classified as humane treatment. Mr. Pritchard referred to “specific castration of a pot-bellied pig”. He didn’t say whether he considered that inhumane treatment; he merely discussed it after referring to things “classified as humane treatment”. This entry was posted in Activism, Animals, Code Enforcement, Community, LCC 2011-05-23, Lowndes County Commission and tagged 23 May 2011, Animals, castration, Code Enforcement, County Manager, dosage, drugs, euthanasia, Georgia, Gretchen Quarterman, inhumane treatment, Joe Pritchard, LAKE, LCC, Lowndes Area Knowledge Exchange, Lowndes County, Lowndes County Commission, Valdosta, Work Session on May 23, 2011 by admin. Here is the entire Lowndes County Commission Work Session from this morning, the same day it happened. VDT or WCTV or WALB could do this. Or the Commission itself could. But since they don’t, LAKE did, and now you can see them dealing with appointmments, alcohol, and animals. If you have concerns about anything that happened, or anything else related to the county government, there’s a regular meeting Tuesday evening. WORK SESSION, MONDAY, MAY 23, 2011, 8:30 a.m. REGULAR SESSION, TUESDAY, MAY 24, 2011, 5:30 p.m. This entry was posted in Activism, Alcohol, Code Enforcement, Community, Economy, Elections, LAKE, LCC 2011-05-23, Lowndes County Commission, Transparency, Water and tagged 23 May 2011, Alcohol, Animals, appointments, Georgia, Gretchen Quarterman, LAKE, LCC, Lowndes Area Knowledge Exchange, Lowndes County, Lowndes County Commission, Valdosta, Work Session on May 23, 2011 by admin.